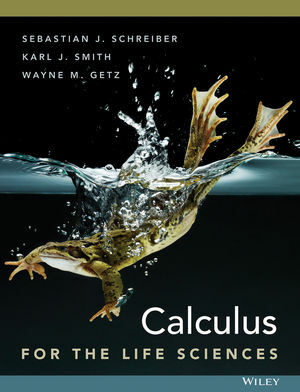 This is a Student Solutions Manual to accompany Calculus for Life Sciences. 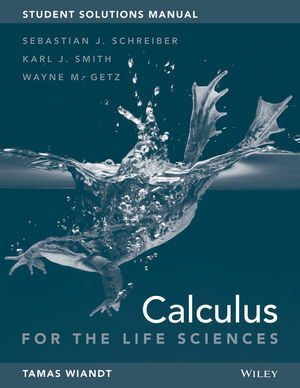 Calculus for Life Sciences is a valuable resource for Life Science courses. As life-science departments increase the math requirements for their majors, there is a need for greater mathematic knowledge among students. This student solutions guide along with the text balances rigorous mathematical training with extensive modeling of biological problems. The biological examples from health science, ecology, microbiology, genetics, and other domains, many based on cited data, are key features of this text. Sebastian J. Schreiber is the author of Student Solutions Manual to accompany Calculus for Life Sciences, published by Wiley.